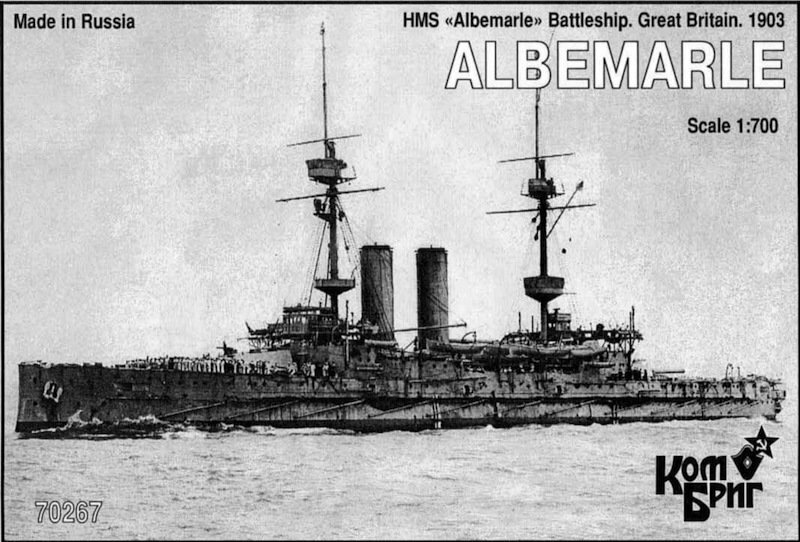 Albemarle (after George Monck, 1st Duke of Albemarle) served in the Mediterranean Fleet (1903-1905), Channel Fleet (1905-1907), Atlantic Fleet (1907-1910), and Home Fleet (1910-1914). Her World War I service was in the Grand Fleet (1914), Channel Fleet (1914-1915), and Grand Fleet again (1915-1916), where she was badly damaged in November 1915 in heavy weather while in the Pentland Firth. She then served at Murmansk in North Russia (1916), including duty as an icebreaker at Arkhangelsk. She was in reserve 1916-1919 and was scrapped in 1919.